This week I am featuring Jasmine Matthews from Simply Replenished. I met Jasmine through Bright-Eyed & Blog-Hearted and have been a fan ever since. Jasmine is a Holistic Healer and through her coaching, seasonal cleanses and distance reiki, she helps many clients with their health and spiritual growth. Hello ! Yes, I am a Holistic Healer. I use nutrition, reiki, and yoga to facilitate healing and transformation. My passion lies in cleansing and energy work through the chakra system. Like a lot of people, my initial inspiration was sparked through a personal health crisis. About 8 years ago I hit an all time low with my health as I sunk into a debilitating bout of hypoglycemia. It affected all aspects of my life – my work, my relationships, my ability to function normally throughout the day. I healed this imbalance through nutrition and a conscious effort to lower stress in my life. The fact that all the symptoms I had disappeared completely really blew my mind. The power of what we eat and how we approach life was astounding to me. I wanted to share this with anyone else who was struggling with blood sugar issues. Now I am married, with a three year old son, and a little one on the way. Increasing my vibrancy and vitality is a focal point in my life. When you have good health, you can really be unstoppable. Oh my gosh yes. There is so much I have learnt along the way. I think it is absolute key to listen to your own body. Become your own guru. Learn as much about your body as you can. Make your own choices. Don’t buy into fads. Remember that what works for one person may not work for you. Another thing is to be playful with it. I went through a phase of being quite obsessive with food, and that is not a healthy approach. Enjoy the transition and all the experiences it brings. Yes. Don’t worry about high priced superfoods. Eat as local as possible, and buy from farmers markets. Organic really does promote your health, but don’t stress if this is not an option for you. Non-organic produce is going to be healthier for you than processed junk. Soups can be super cheap to make and packed with nutrients. Use aging produce in juices and smoothies, rather than throwing it out. Oh and if at all possible, grow your own. Or in my case, have a green-thumb mother-in-law and go and steal all her beautiful produce haha. To be honest, I have never had this problem. My son, Max, has been brought up on a healthy wholefood diet, so that is all he knows. He loves his food. I have always been very honest with Max and explained to him that what he is eating makes him big and strong. When he asks why he can’t eat other things – he doesn’t eat dairy or refined sugars etc – I tell him that it’s not that he can’t, it’s that those things don’t make him big and strong. He is totally cool with that. In fact he loves the idea of things making him grow. I think we need to be careful not to put our own food issues onto children. They don’t have the years of processed food behind them that many of us do. And my husband is so open to healthy food ideas. He is a terrific chef and enjoys creating delicious dishes. I am very blessed in this way. I think if I did encounter struggles, I would tend to lead by example. When people see you thriving on your lifestyle, it would encourage them to do the same. That’s such a hard question ! Coconut water from real coconuts (not packaged) is to die for. I LOVE berries – raspberries, cherries, blueberries. Summer fruits I guess. Again, a hard question. I don’t really have a “go-to” but I do have some fabulous chefs within my seasonal cleanses. The recipes within that are divine. I use them a lot. If we are talking about true-blue me time, I would say walking in nature with headphones on listening to music. That’s by far my happy place. Being alone, in a forest, with epic music in my ears. I get the highest high from that. It will transform the worst day into the best. It makes me feel good just thinking about it. I’m going to share one of my favourite recipes from my winter cleanse. This one has been created by Claire Baker, a beautiful friend and incredible inspiration. I find this ridiculously tasty. And I’m just a glutton for soups in general. I love the ease factor, as well as the amount of nutrients you can get in there. In a medium saucepan, melt the oil and lightly sauté the curry powder, sweet potato and carrots for 5-10 minutes. Add the vegetable stock to the pot and bring to the boil. Reduce heat and simmer for 30 minutes or until vegetables soften. Transfer cooled soup to a blender, add the coconut cream and blend until smooth and creamy. A little bit more about Jasmine and where you can find her. In a world that constantly pressures you to do more, do it bigger and do it faster, Jasmine has a refreshing perspective: Slow down. Do less. And do it better. 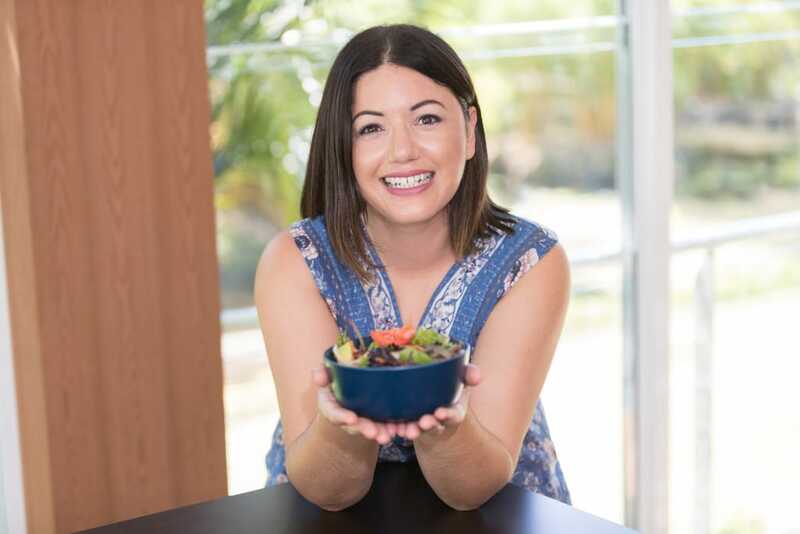 As a health & wellness coach and Reiki practitioner, Jasmine inspires her clients to get back to basics: good food, deep rest, and projects that feel energizing – not draining. Ready to take a deep breath – and take a few steps towards creating a calmer, happier life. Connect with Jasmine & explore her coaching programs, cleanses & wellness advice at SimplyReplenished.com.